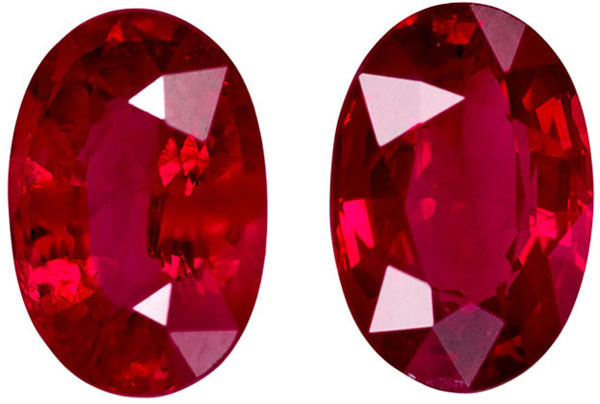 Shop at AfricaGems.com for the best selection of fine gem Ruby gemstones in matching pairs. 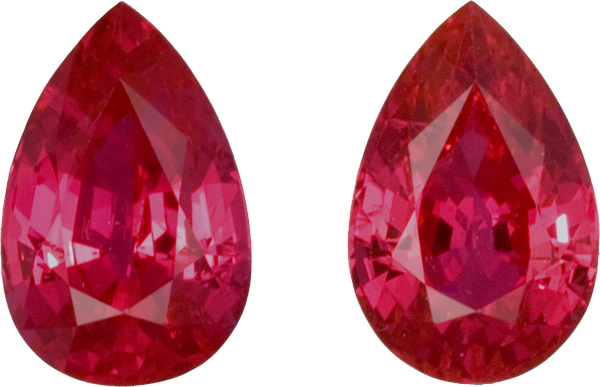 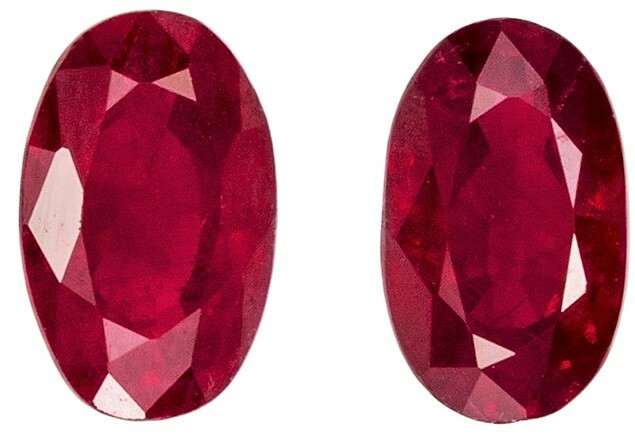 We have in stock the best quality red Ruby gemstone pairs. 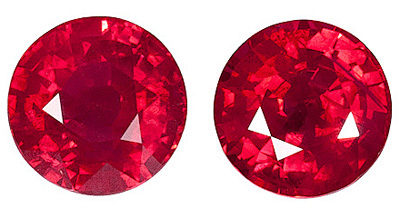 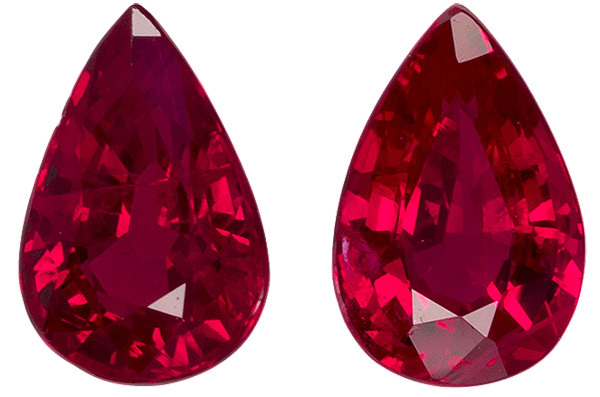 We are specializing in larger, more hard to find matching natural Ruby gemstone pairs. 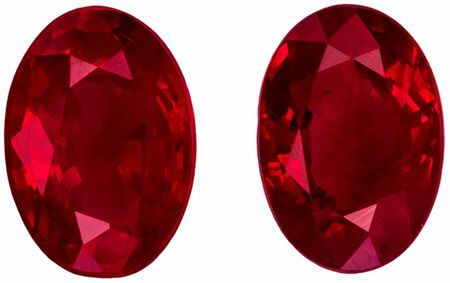 Just like our single free sized Ruby Gemstones , these gem quality Rubies in gemstone pairs are carefully selected for matching color, cut and size. 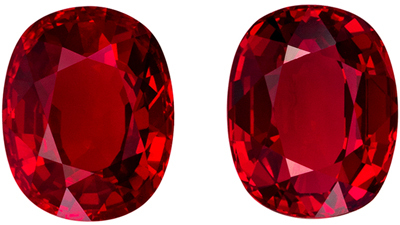 This is very difficult to do in fine Loose Rubies as it is a rare gemstone in larger sizes if it's gem quality. 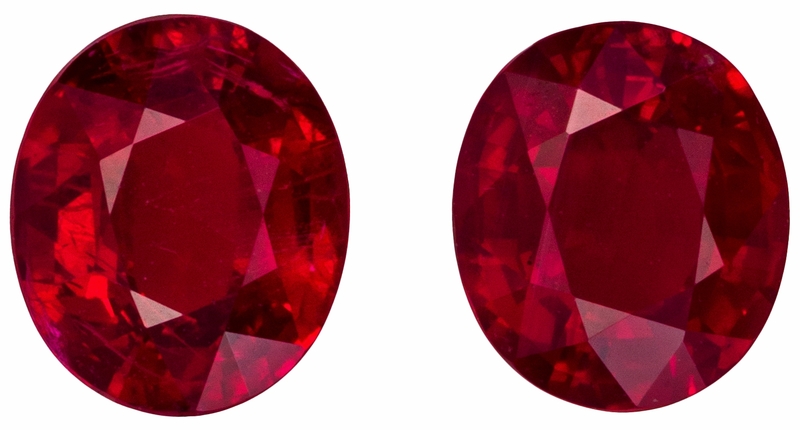 All of our certified Ruby gemstone pairs are professionally graded by a professional gemologist, certified and fully guaranteed. 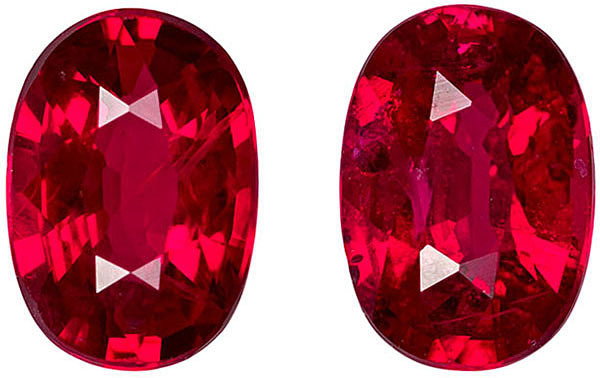 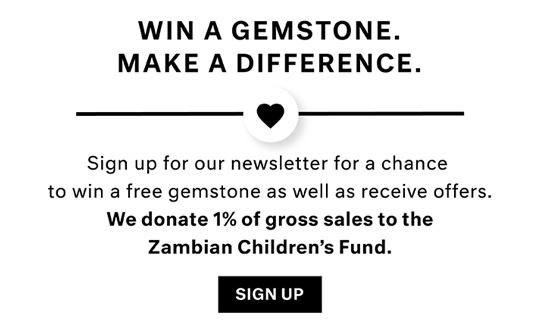 See our Industry Leading Certified Gemstone Buying Advantage Program . 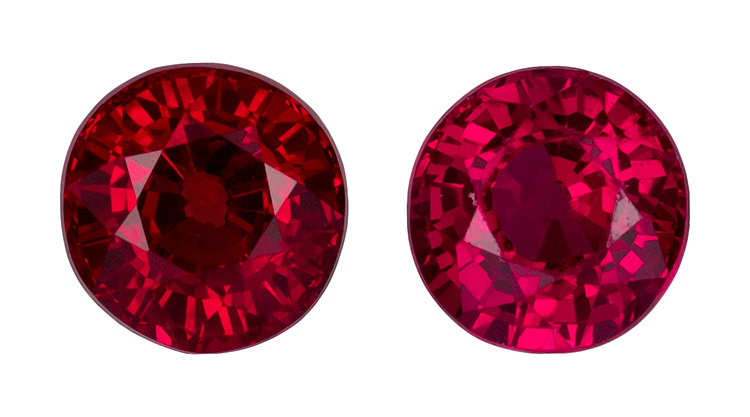 If you don't see the perfect Ruby matching pair, contact us to see what else is available. 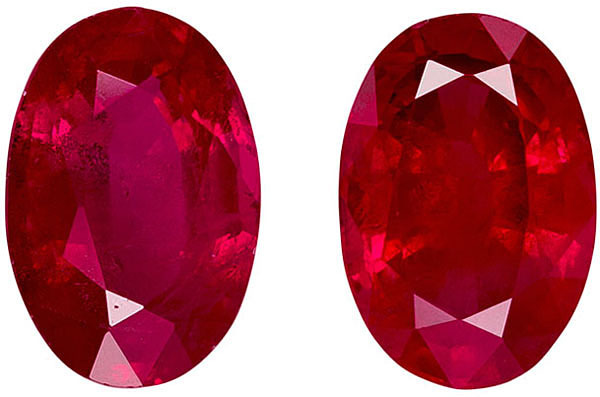 Check out our new selection of fine quality Calibrated Standard size Ruby Gemstones . 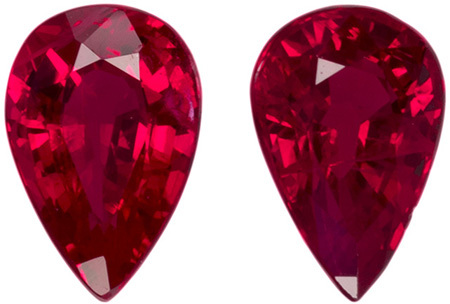 We have in stock all sizes, shapes and qualities-the BEST selection on the web!